If your website is written in a language that most readers don’t understand, you will need to translate it at least in English. A simple solution (but not error free) would be to use the Google Translate website plugin. Surely in this case you have no access to manually translating the site because of different reasons (money being one of them). 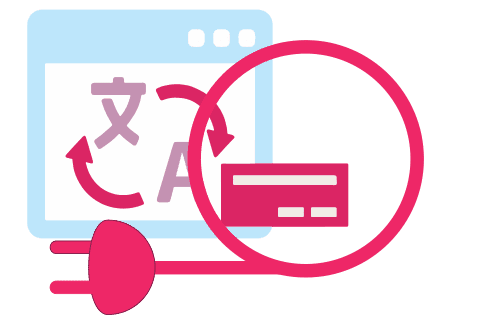 If you still want to make your website multilingual, but you’re not skilled enough to manually translate it or don’t want to invest in professional website translation, you have another option. The best thing to do in this case is to embed the Google Translate website plugin directly to your website. Google Translate is not a perfect and error-free tool, at least not yet. However, it is quite a great tool if you need something translated quickly. How Google Translate works? 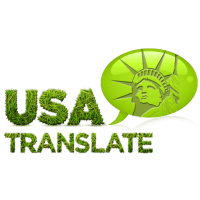 Simply put, it is taking words or phrases that you type, and then searching its database for the best translation. Nearly instantly, it provides you with the translation of whatever you typed in. As a professional translation agency, we don’t recommend using machine translation when it comes to business. However, if you need to be able to translate words or phrases from one language to another, this can be a helpful tool. It can also acct as a replacement of professional translation up until you decide what path to take in your business expansion plan. The Google Translate website plugin provides translation of your website in more than 60 languages. The method of adding-on this widget is very simple. In addition, we will describe the steps you need to perform to successfully add Google Translate to your website. Visit this Google Translate link and when prompted, sign in with your Google account. Enter the URL of your site in the corresponding field called “URL of the website”. Select the original language of your site from the drop down menu. On this page you can choose whether you want a translation into all available languages ​​or to translate only in the languages ​​that you choose. Just pick up the choices that suit your needs then click on the “Get Code” button to obtain the Google Translate website plugin code. A new page will open where you will see a code which you have to add on your web site. This should be added as a new widget, usually a text or HTML element if available, where you want the drop-down translator to appear on your site (we recommend adding it to the side bar or in the header), add a Widget / HTML element in that area of ​​your page, then paste the code for the widget in the new element you just created. If your website does not have the widget feature, you’ll have to manually edit your HTML or php code in order to add the code into the correct spot. In case you want to ensure your content is translated correctly, you can manage translations of your website and edit them if they are not entirely accurate. To do this, click on Translation Management at the end of the installation process. You can access this option at any time by going to your Google Translate dashboard.